We are excited to be flying our UH-1 Huey helicopter in to the Special Olympics Summer Games at Indiana State University in Terre Haute. We will flyover the Summer Games activities at Marks Field at approx. 4:45pm this Saturday, June 2nd. IASAR is helping to support Finish Line and their team volunteer efforts with the State of Indiana Special Olympics. The Special Olympics Victory Dance starts at 8pm in Olympic Town. Most of the 2,600 athletes at the games will be attending the dance, so our departure flyover will be an exciting way to start the evening's event and end a terrific day of sports and camaraderie. If you would like to take part in this special event and help with fuel costs, please contact Jill at 317-549-5900. This email was sent by IASAR, 20 N. Meridian St., Suite 206, Indianapolis, IN 46204, using Express Email Marketing. When you donate to the Able Flight Scholarship Fund, you become more than a donor...you become a partner in its mission. for supporting Able Flight pilots. Congratulations to Able Flight pilot Tyler Ryan upon his graduation from Dowling College with a degree in aviation! People like wounded Marine Adam Kisielewski who is now a pilot thanks to your support of Able Flight Scholarships. Every time you buy a bag of Flying High Coffee you support Able Flight! Tony Pizzifred is a member of a very select group, a distinction he'd rather not have. In the wars in Iraq and Afghanistan the number of Air Force veterans who were wounded in combat is quite small compared to the other services, but on March 13, 2004, while serving as an MP at Bagram Air Base in Afghanistan, Tony stepped on a landmine and lost his left leg below the knee. Remarkably, after rehabilitation and therapy, Tony returned to duty in the Middle East as the first Air Force MP amputee to do so. 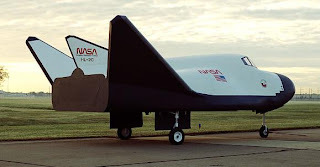 Now, working at Cape Canaveral in rocket launch operations, Tony began to learn to fly in Texas and then with Voyager Aviation in Florida, and was close to completion when he ran short of funds. With a scholarship from Able Flight he completed his training and passed his checkride on May 13th. To learn more about Tony, visit here. May 19 marked the kickoff of more than five weeks of intensive flight and ground school instruction for six Able Flight Scholarship winners who are training at Purdue University. The six student pilots are Jason Jernigan of Florida, Wesley Major of Delaware, Devon Radloff of Wisconsin, Tyrell Rhodes of Illinois, Steven Scott of California and Matt Sponaugle of West Virginia. The students' typical day consists of a training flight in the morning followed by a post flight briefing with their Purdue instructor, ground school and independent study, and weather permitting, an afternoon or early evening flight followed by another briefing. Professor Bernie Wulle of Purdue coordinates the program for Able Flight, and the Light Sport Aircraft used for training are an adapted Sky Arrow 600 from Philly Sport Pilot, and another adapted Sky Arrow and a FK9 MKIV, both from Hansen Air Group. Thanks to the support of the TBMOPA Foundation, Able Flight pilot Jessica Scharle has been awarded a scholarship to train at Falcon Aviation Academy to become an FAA-certified Airline Dispatcher. In 2008, Jessica became the first woman to earn her pilot certificate with an Able Flight scholarship, and later earned her Advanced Ground Instructor Certificate, all while working a full-time job in the Atlanta area. Crew Preparing Diamond Lil for Ferry Flight from EAA - The Experimental Aircraft Association | The Commemorative Air Force's B-24 Diamond Lil is being prepared for a ferry flight back to Addison, Texas, after a hydraulic malfunction last Saturday that caused the vintage World War II bomber's nose gear to collapse during a scheduled passenger flight at Charlotte Douglas International Airport in Charlotte, North Carolina. CAF reported no injuries to the 16 people (passengers and crew) on board and minimal damage to the aircraft. NV Air National Guard to hold open house June 9 in Reno from RGJ.com | RENO, Nev. (AP) — The Nevada Air National Guard is inviting the public to an open house at its base in Reno on June 9. More than a dozen types of aircraft will be on display from 10 a.m.
B-24 Repairs from stickandrudderWTO | Heard moments ago, that the CAF damaged B-24 is going to Addison for repairs, and sounds like it's flying there, and just talk of 'external damage' being repaired to it can carry-on with the tour. Hamilton ? Fingers-crossed. President Obama Awards John Glenn with Medal of Freedom from SPACE.com | John Glenn joins an elite group of astronauts to receive the nation's highest honor. Lockheed Martin offering San Antonio media glimpse of Joint Strike Fighter from Aerospace-Defense News | Lockheed Martin Corp. officials will be in San Antonio on Wednesday to set up an interactive simulation of the company's F-35 Lightning II Joint Strike Fighter. ATC VFR Save from The FlightTime Radio Show | VFR On-Top and the bottom is at 400ft. FlightTime Radio Show 226 from The FlightTime Radio Show | Milford was in the Key Auto – FlightTime Radio Studio and Charlie was on the road returning from a relaxing few days in the Bahamas!... Charlie called in from the mobile studio and spent the hour with Milford talking about flying. Join in with us and discover the Joy of Flying! 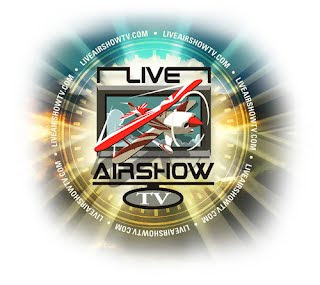 LiveAirShowTV to broadcast Baltimore event! 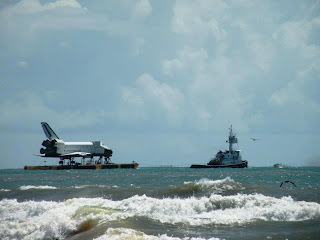 PFLUGERVILLE, TX – May 29, 2012 – The next event in the bicentennial celebration of the War of 1812, is Baltimore's Star Spangled Sailabration, June 16th-17th. Beginning June 13th tall ships, and current Navy vessels will arrive in Baltimore's harbor. Many will be available to tour. The air show will take place Saturday and Sunday afternoons out in front of Ft. McHenry. If you're not lucky enough to be one of the 20,000 to 25,000 people to gain access to the grounds at Ft. McHenry, LiveAirShowTV will be your eyes and ears for the show. "What an honor it is to be on the actual grounds of the fort where Francis Scott Key penned the Star Spangled Banner!" 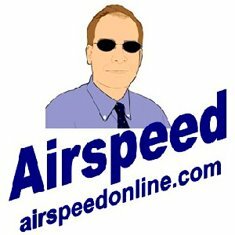 says Jeff Lee, LiveAirShowTV President. "It is a mix of the old and new in one spot. We will be at this historic location bringing fans the top military aviation demonstrations of today." The current schedule includes: F/A 18, H-53 Sea Stallion, E-2 Hawkeye, USCG MH-65 Dolphin SAR Demo, and the U.S. Navy's Blue Angels. This LIVE Internet broadcast will include coverage of the ships and activities in and around the harbor, and will be turned over to LiveAirShowTV both days for the air show. 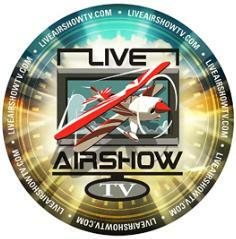 Keep watching our website (www.LiveAirShowTV.com) for exactly how you can watch this great event. As always follow LiveAirShowTV on Facebook and Twitter. Links to both are on our home page. We are your "Eyes and Ears of Aviation, Today!" DARE-DEVIL parachutists provided a taste of what's to come when they dropped in to RAF Fairford in Gloucestershire today (Tuesday, May 29). Members of the RAF Falcons parachute display team unfurled a Diamond Jubilee flag as they drifted down to earth from 3,000ft at a special preview of the Royal International Air Tattoo. The world's biggest military airshow, which will take place on July 7 and 8, is this year celebrating HM the Queen's Diamond Jubilee, and a sparkling display of aircraft touched down to publicise this summer's event. 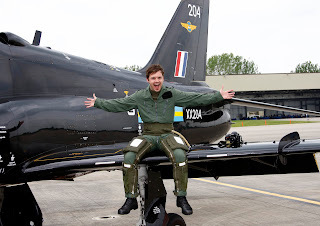 Children's tv presenter Barney Harwood flew in as the day's special guest, arriving in style courtesy of an RAF Hawk flown by Fairford-born display pilot Flt Lt Phil Bird. 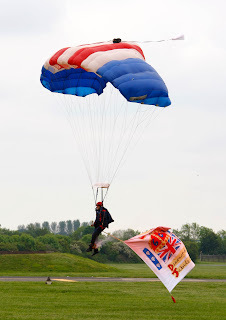 The logo on the flag delivered by the RAF Falcons had been chosen from thousands of entries in a children's design competition run by the BBC's Blue Peter programme, and presenter Barney performed the official raising of the flag, accompanied by the Fanfare team from the Band of the RAF Regiment. Barney said: "I got my first Airfix kit at the age of eight, and that was a Hawk, so it was incredible to actually fly in one. It relays the message that anything is possible: I used to work in a kennels and now here I am in an RAF jumpsuit. 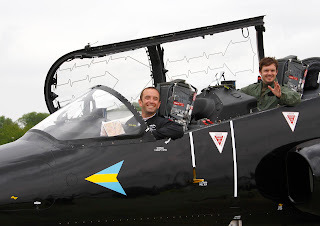 It's such a beautiful aircraft and it was so exciting to fulfil a lifelong ambition." Five spectacular aircraft touched down at the Gloucestershire airbase, including a Chipmunk with a royal connection - WP903, painted in the bright colours of the Royal Flight, is the actual two-seater trainer aircraft in which Prince Charles learnt to fly – and an RAF Tucano, painted in special Diamond Jubilee livery. A deHavilland Vampire T11, which entered service with the RAF 60 years ago, was also on show, while a US Air Force MC-130 Hercules, operated by US Special Forces, also flew in, symbolising the close links between the airshow and the USAF. Air Tattoo Chief Executive Tim Prince said: "It's been great to provide a preview of what's in store in July, as we have an exceptional line-up of aircraft. As well as a special mass flypast of Hawks in an E II R formation, the Air Tattoo will feature seven aerobatic display teams including Al Fursan, a newly-formed team from the United Arab Emirates who'll be making their European debut at the airshow. 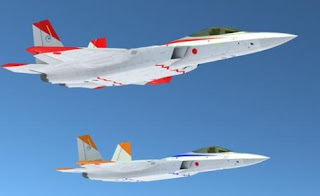 "Two countries, Colombia and South Korea, will be making their Air Tattoo debuts, the iconic Avro Vulcan will be here to thrill the crowds, and many of the world's top fast jets will also be joining us in July. 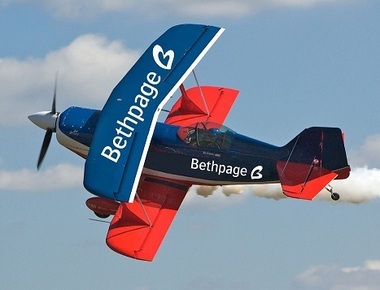 The world really is coming to Fairford this year – make sure you don't miss out on the action." Emmy Nominations for Ohio/Minnesota Aviation Film - CAF Press Release | The Commemorative Air Force, Minnesota Wing Museum, along with Hemlock Films is proud to announce that The Restorers – They Were All Volunteers has been nominated for three Emmy's. 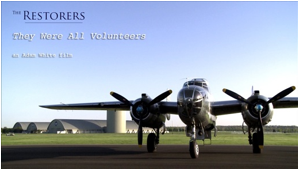 The pilot episode of The Restorers is based on the Commemorative Air Force, Minnesota Wing, their members, and their journey to the 68th Doolittle Raiders Reunion in 2010 in Dayton, Ohio. The Minnesota Wing volunteers are proud to be part of such an amazing series that showcases what they do best, preserve history for future generations to enjoy. The Minnesota Wing is based in South Saint Paul, MN and has resided there since 1971. The Restorers- They Were All Volunteers was nominated in three categories: Best Writing, Technical Achievement, and Best Documentary. The 2012 The Regional Great Lakes Emmy Awards will be held on Saturday, June 2nd in Indianapolis, Indiana. For more information about the Emmy's, please visit their website at http://www.nataslgl.org/index.php. 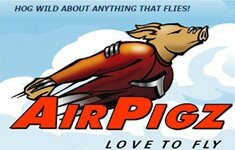 Summer at the Smithsonian - airspacemag.com | Planning a visit to the Museum? We provide some helpful hints. Ford Tri-Motor Tour: Reserve your seat today!